I tend to not blog about press days as they happen so quickly such in huge clumps, opting instead to send everything to my Instagram account. But after a proper jaw dropping moment in East London yesterday, I couldn't resist doing a quick little write up about budget brand, Pep & Co. But don't let the word budget fool you - this brand is here to compete with the fashion heavyweights! So, first things first, Pep & Co are a subsidiary of Poundland, home of inexpensive Toblerones, cleaning supplies and kitchen instruments. Apart from the odd pair of slipper socks at Christmas, they're not the first place you think of when contemplating trend led fashion. Or indeed fashion as a whole. So when I had the invite to come and preview their AW18 range, my expectations were pretty low. Having had no idea that they even existed, I was expecting to be met with a series of very basic wardrobe staples in fabrics which would catch fire the second you looked at them. But I could not have been more mistaken! What I saw was a very cool, trend led collection with purse friendly dupes walking right off the catwalk. They were separated in to very distinct stories, with a very 90s Tommy Hilfiger inspired selection, a rail which wouldn't look out of place amongst Ivy Park and a more party ready rail with sequins, faux fur and the biker jacket of dreams. As a fashion photographer, I found myself eyeing up a lot of the bits with an editorial eye and so much of it would be amazing to shoot with. I was honestly walking around in shock, I had set such a low bar in my brain and it was easily the most vibrant collection I'd seen in the previous few days. There were so many stand out items, what with faux leather mini skirts, mesh hoodies, jumpsuits and the world's cutest dungarees. The textiles were beautiful to touch, whether leopard print fur or biker jacket pleather and seeing them in person, you could easily believe you were looking at rails from the likes of ASOS. 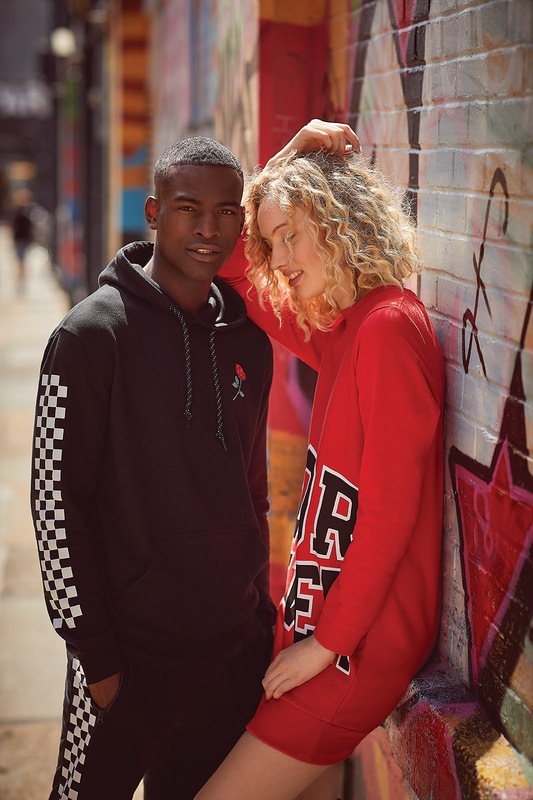 The quality was amazing, and my worries about how they managed to product the garments for such a low price were put to rest as the brand takes their commitment to corporate social responsibility and eliminating modern slavery very seriously. In face they operate a series of internal policies to make sure that all ends of the business is conducted in ways which ensure transparency, responsibility and are entirely ethical. In short - no sweat shops and cheap labour! The range starts from £5, and goes up to a UK 22. Some of the pieces were quite oversized and I suspect would fit a 24 / smaller 26, and the range also includes shoes, boots and some really pretty lingerie. The range also includes menswear and childrens wear, and you can't find your nearest stockist by clicking here. What are your thoughts on the range? Let me know in the comments, and if you have any favourite pieces.